134597117 –For courses in Physical Geography. Note: You are purchasing a standalone product; MasteringGeographydoes not come packaged with this content. Students, if interested in purchasing this title with MasteringGeography, ask your instructor for the correct package ISBN and Course ID. Instructors, contact your Pearson representative for more information. 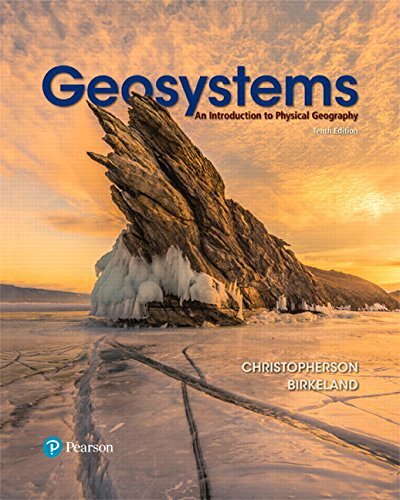 Geosystems: An Introduction to Physical Geography,10 th Editionis also available viaPearson eText, a simple-to-use, mobile, personalized reading experience that lets instructors connect with and motivate students — right in their eTextbook.Learn more.